Sgt. Mike Conwell has been a motor officer since 2005 and is currently stationed in Raleigh, NC. 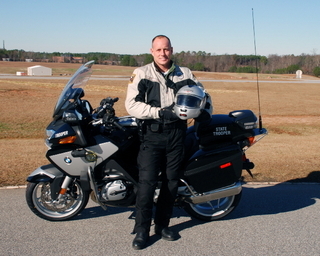 He is currently the BikeSafe Statewide Coordinator, a driving instructor for the North Carolina Highway Patrol and certified motorcycle instructor through Northwestern University and a field training officer for the Highway Patrol.